An originally designed Infloor Heating System for a Colorado home continues to shine in comfort, performance, low environmental impact, and energy savings. Our customer, Dr. Gregory Kettering, a popular veterinarian, has returned to share his radiant experience and system success, backed up by three years of incredible tracking and charting of his energy use, costs, and production. With his home’s total energy use costing only $800/year, the proof is in the numbers. 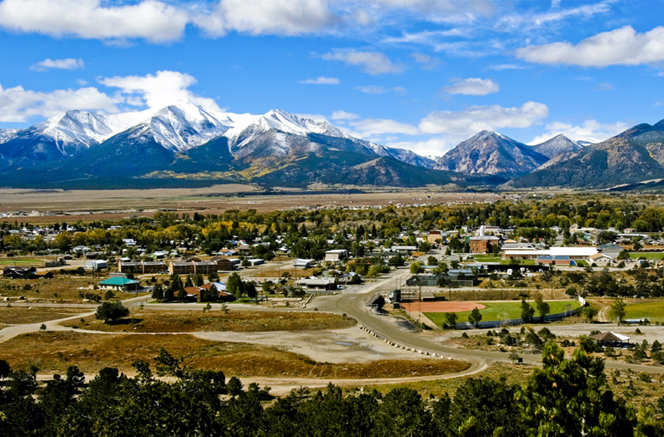 In 2012, Dr. Kettering and his wife Dale built a spacious, comfortable, energy efficient home in picturesque Buena Vista, CO, surrounded by views of 14,000 foot peaks. Their green-home concept was to reduce their footprint as much as possible, use earth-friendly construction materials, and tap into one of our most powerful and abundant natural resources, the sun, as a clean, renewable energy source to heat water and generate electricity for space heating and general house use. 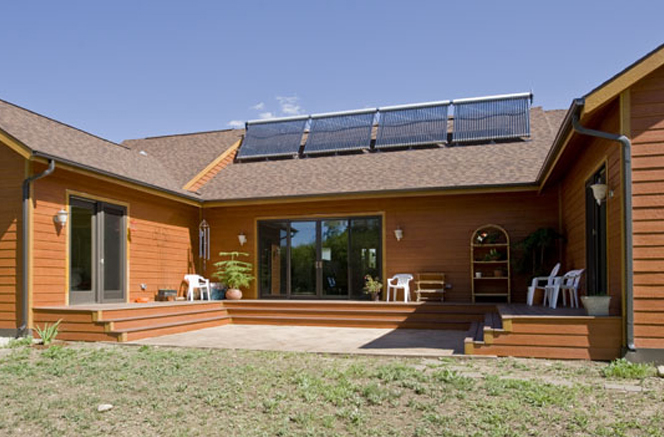 They called Infloor Heating Systems to design a heating system that worked with solar thermal energy for their two-story, 3,795 square foot home, powered solely by electricity. Infloor President Michael Willburn worked directly with the Kettering’s to design the system of their dreams. “This was one of our more complicated projects, and also one of our more exciting and meaningful ones,” said Michael. 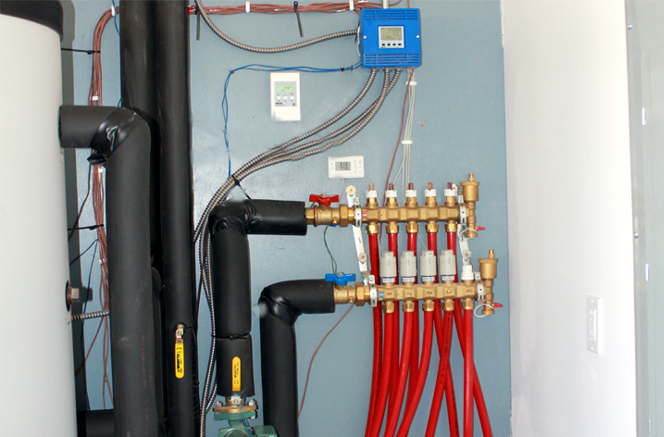 Michael designed the heating system with Infloor hydronic radiant heating throughout the lower level, with nearly 3,000 feet of ½” BPEX tubing, spaced 9″ OC, divided into four zones. The smaller sized upstairs is heated by five panel radiators, which are set to the same temperature as the downstairs radiant heating. The hot water for these systems is mostly supplied by a solar thermal system addition. 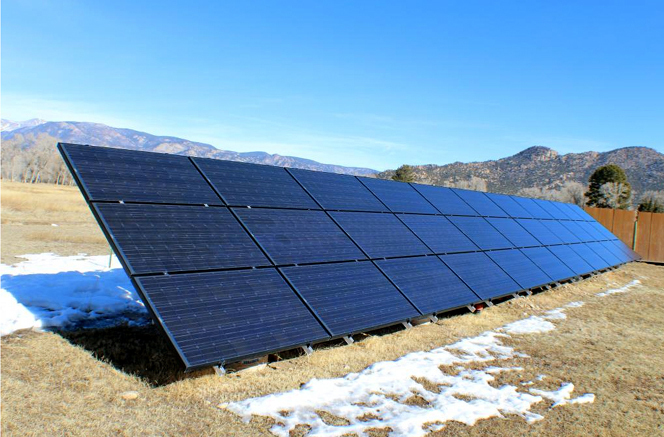 “Radiant and solar are a great match especially in areas with high solar fraction like Colorado,” said Michael. “The low water temperature a radiant floor requires keeps the solar collectors working efficiently and reduces fuel consumption by the back-up source. And using radiant floors to distribute heat is allot more energy efficient than other choices,” he said. Four Apricus A-30 evacuated tube collectors are located on the roof, facing south, generating energy to produce 100% of the home’s domestic hot water, with a portion of the excess going to the radiant heating system. “By using four evacuated tube collector panels, with a total of 120 tubes, we calculated the majority of Dr. Kettering’s domestic hot water would be heated via solar thermal, and it would also make a sizable contribution to his space heating,” said Michael. 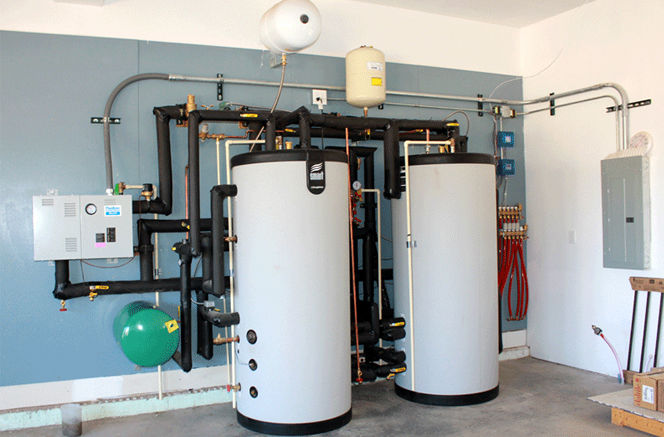 On average year round, the solar thermal water system produces about 164,000 btus per day. The entire home runs on electricity, which is mostly generated through a separate Photovoltaic (PV) grid-tie energy system, which is a method of converting solar energy into direct current electricity using semi-conducting materials that exhibit the photovoltaic effect. The direct conversion of sunlight to electricity occurs without any moving parts or environmental emissions during operation. 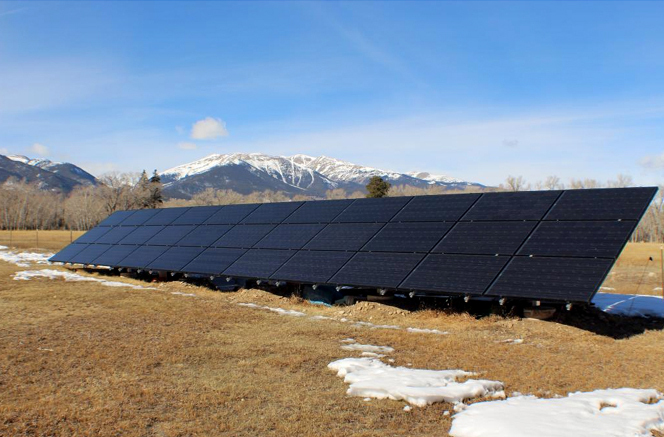 The Kettering’s PV system consists of 33 solar panels, assembled on the ground, generating 50 kilowatt hours a day, covering 80% of the homes total annual power usage. Most of the year it generates more energy than the house is using, which turns the meter backwards, banking the unused energy with the electric company for later use in that year. Dr. Kettering set out from the beginning to understand the system’s value and performance through precise tracking of all their energy production and use. His Excel spreadsheets are a story of his home’s energy use and patterns, yielding three years (thus far) of valuable knowledge and numbers showing the system is performing even better than predicted. “I love numbers and math, and I wanted to get a real look at our energy use and the solar system’s performance. I was interested in knowing how much energy we were using, versus how much we were generating through solar power. As those numbers developed, I began to see ways I could further reduce our energy consumption by changing different settings and identifying possible upgrades,” said Dr. Kettering. He also tracks how much his energy costs would be without the solar power systems, and how long it will take to recoup his initial investment. And every year, the numbers are showing the system continues to perform more efficiently. For example, in 2013 they incurred an annual savings of $1,517.98 in energy costs. In 2014, their total savings was $1,670.21, showing an 11% increase over one calendar year. The home’s total energy use is also declining, year-to-year, as the smart technology features (including tekmar’s 402 house control and 552 programmable thermostat) learn the family’s behaviors, and Dr. Kettering learns how to manually decrease it through different settings, features, and upgrades. Every day that Dr. Kettering adds more figures to his spreadsheets, his overall energy portfolio changes, including the “Years to Payback.” The chart above shows an overview of the energy savings and return on their investment as of March 15, 2015. As the entries continue for the year, the savings will increase, and the years to payback will continue to decrease. So why is the Kettering’s fully electric heating and energy system so efficient? “Because it was designed to be,” said Michael. Every design element, component, feature, and placement plays a role in its overall success. The heating and thermal energy system was designed specifically for this house, taking into consideration all of its features, shapes, and sizes. Michael performed detailed heat loss calculations as part of the design phase, to deliver the precise desired results. The formulas take many things into consideration including tube spacing, desired water temps, the house’s direction to the sun, the sizes of windows and doors, ceiling heights, insulation, floor coverings, zoning, and more. “Zoning is a great feature, and helps reduce our energy use,” said Dr. Kettering. “We have a music room where my wife gives music lessons, which we only keep heated on the days it’s in use. We can set the thermostat to raise and lower as the room is used, with two to four time settings a day for every day of the week,” he explained. There’s the added benefit of comfort by being able to set each zones temperature based on the rooms use. “We like to keep the master bedroom at 61°, which is more comfortable for sleeping, while the master bathroom is set to a warmer 72°,” he said. And they figured, why not have a warm floor in the shower too! “Since our master bathroom shower was built on site, we decided to put the Infloor heating under the shower floor,” Dr. Kettering continued. It was covered with gypcrete, and finished with natural rock floor covering. 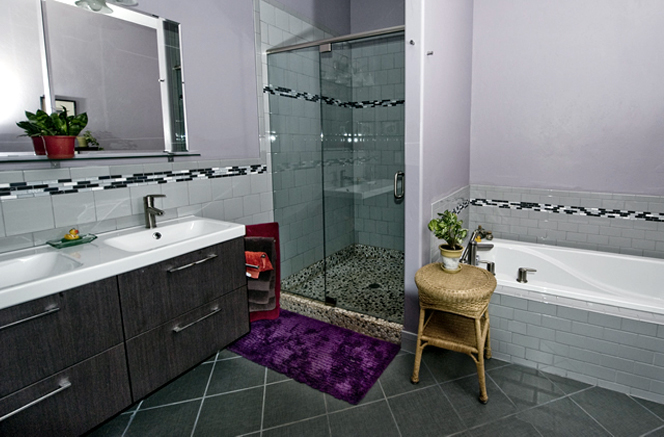 “The shower floor is always warm and comfortable to the touch at 72°,” he shared. He said other benefits to having Infloor heating in the shower is that the warm floor dries faster, making it less slippery, and also keeps mold from growing, making the it a healthier environment, and easier to keep clean. As an additional “green” step, the Kettering’s requested the use of Corn Glycol in the solar thermal system, instead of the traditional propylene glycol. Corn Glycol is a cost effective, environmentally friendly solar thermal transfer solution made from corn, making “green” solar water heating applications even greener. The non-toxic, food-grade, renewable glycol has antifreeze properties, and the same molecular formula as propylene glycol, without the petroleum or unwanted byproducts like alcohol. It also enhances the life span and performance of a solar thermal system. 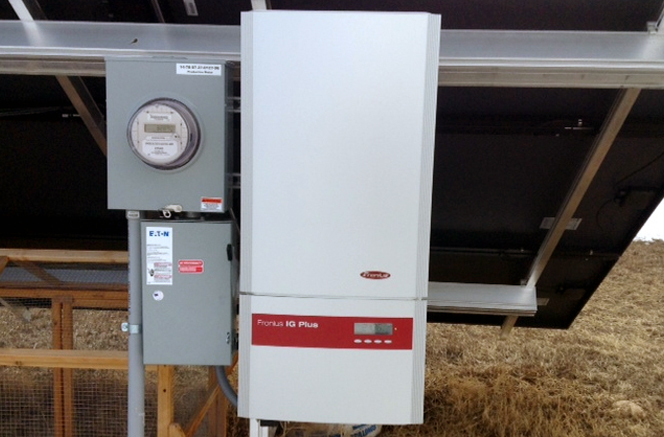 Two Triangle Tube SmartLine 600 multi-energy tanks are used to store heat produced by both the solar and boiler. Each tank holds 60 gallons of domestic hot water and 100 gallons of space heating water. A solar loop coil is built inside the tanks to harvest heat produced by the collectors. An electric boiler acts as a back-up heat source. “During the warmer sunny days, the boiler stays off or only turns on seldom. The solar thermal collectors reduce my electric consumption year round,” said Dr. Kettering. Incorporating smart technology also helps reduce energy use. A tekmarNet® 2 House Control 402 energy management system operates all the mechanical equipment in the hydronic heating system, coordinating its operation through network communication. Through time, it learns when the greatest demands for hot water will be by learning the behaviors of the Kettering’s through their repetitive actions. “It knows we typically shower in the morning,” Dr. Kettering shared. It also controls the tekmar 4-way mixing valve, delivering the correct water temperatures based on the outdoor temperature via a sensor placed outside, facing North. It also protects the hydronic radiant heating system from overheating. The Kettering’s took additional steps to reduce their environmental impact and increase the longevity of the systems and home. 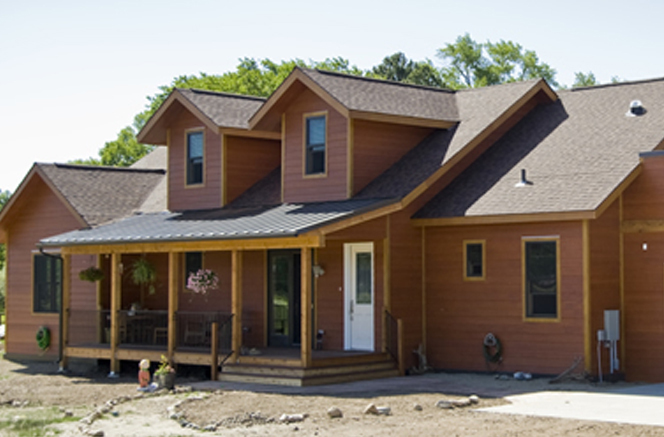 The siding on the home has a 50-year warranty and is made of recycled wood with factory-applied stain that lasts twice as long as a field-applied application. 30-year shingles were used on the roof. A high R-value Icynene water-based spray foam insulation fills the cavities of the walls, creating a near-airtight seal of the house. The house also is wrapped in Poly ISO rigid foam, which minimizes thermal bridging through a foil face that reduces radiant gain both internally and externally. In the summer, it keeps the sun from radiating through the walls, and in the winter, the heat stays inside. The entire project was made possible by a collaborative effort of great companies. The home was built by Solar Village Homes; the heating and solar thermal system was installed by Plumbing Plus, located in Buena Vista; and Tim Willburn, with Hi Valley Supply, supplied parts for the heating system and installed a portion of the piping. Michael used Infloor’s premier design program, LoopCAD, to design and layout the system with all components needed. 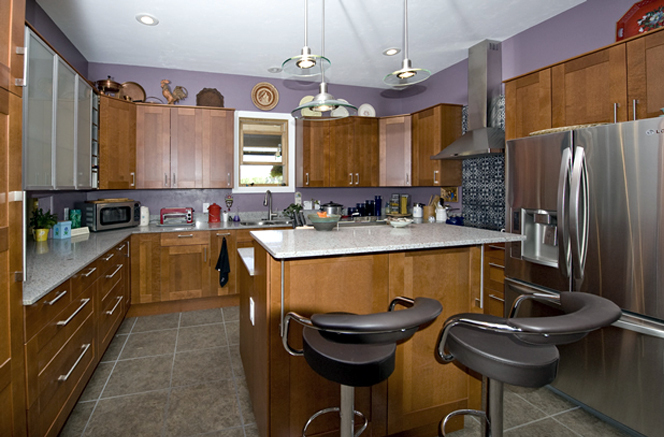 “We were thrilled to work with the Kettering’s on this project,” Michael said. “It’s not often we get to work with clients like them. Their overall concept on the design and building was to reduce their environmental impact. They did it all for the Mother Earth. It is the reason for all their decisions on the construction of their home,” he said. “They will get a great return on their investment, and enjoy years of comfort,” Michael concluded. Both Dr. Kettering and Infloor call the system a success. “Michael is very knowledgeable about Infloor [radiant heating], particularly with tying a heating system with a solar hot water system,” said Dr. Kettering. “Since I was not familiar with the brands of radiant floor heating systems, I had to let Michael choose for me, and I am very satisfied with the Infloor system he chose,” he concluded.